Argillite is a form of black slate found on the North West Island of Haida Gwaii. 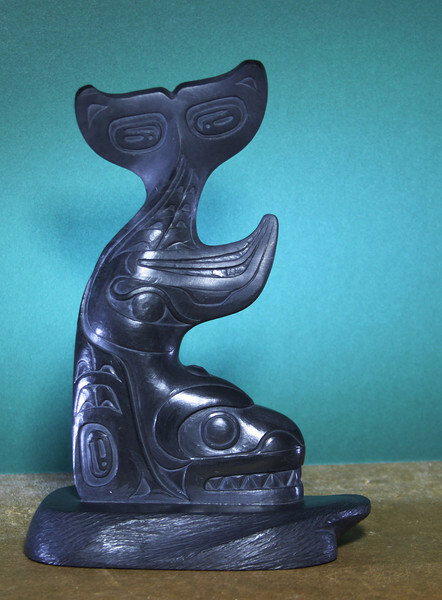 Carving it is reserved solely to artists of the Haida Nation. The pieces depicted here are all the work of Gary Minaker-Russ (Kiit-Laaghaa). Gary is from the Eagle Clan with Beaver, Sculpin, Frog and Black Whale as his crests. Right side with the tail depicting the Whale's tail fin.